Our combination of large and small compounding lines allows Polyflex to handle your large PVC compound production runs as well as smaller specialty orders. Polyflex currently has five compounding lines with a capacity of 100 million lbs/year at our 55,000+ square-foot facility in Baltic, Ohio. The newest addition to our compounding line, our clear production line, is dedicated exclusively to the production of clears. 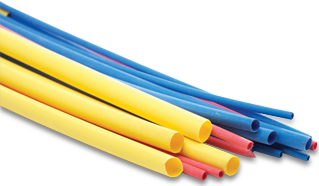 This dedicated line allows us to produce the best clear PVC compound on the market, certified NSF-51 for food equipment tubing and materials, and conforming to FDA and 3-A standards making it ideal for tubing used in the medical industry. Our high-output lines allow Polyflex to be competitive in high-volume markets while ensuring consistent quality pellets. These lines provide excellent mixing and dispersion capabilities at low temperatures. Precisely controlled shear rates enhance stability and yield a lower memory temperature to the finished compound, resulting in ease of processing for the customer. Our automated bulk solids transfer system, computer controlled and monitored mixing, and automated ingredient addition system assure that compounds are consistently manufactured to specification each and every time. 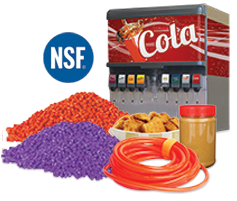 NSF 51 standards are relied upon to help ensure the safety of materials and components in the food processing industry. Polyflex can meet those needs. 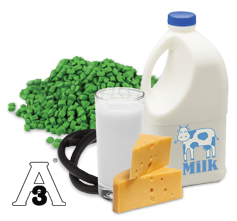 3-A approval helps assure cleanability, bacterial treatment and FDA compliance in the food processing industry. Polyflex has it.